I’m headed to Texas in the morning for Jessica and Matt’s wedding, and on the eve of my departure, I wanted to reshare their amazing Driftwood engagement session (recently featured over at Perfect Bound) Theirs was my first engagement session (Ever!) as well as my first feature (Ever!) and I couldn’t have accomplished either without their style, Jessica’s effortless beauty, or their amazing trust. I cannot wait for their wedding on Saturday. 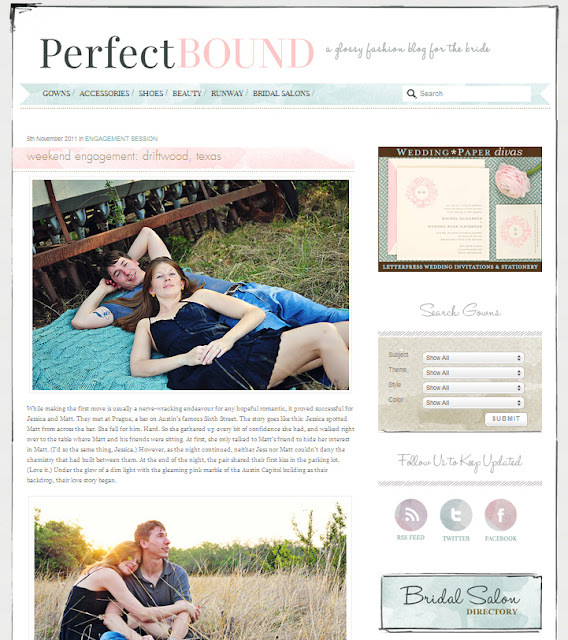 A huge thank you to Anne-Marie over at Perfect Bound for the feature.